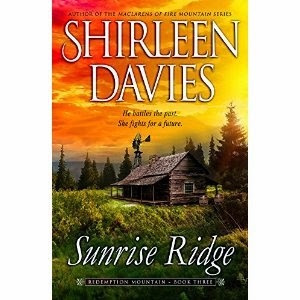 "Sunrise Ridge," book 3 in the Redemption Mountain series, is a historical western romance by Shirleen Davies about a relationship between two very unique people. Set in 19th century Montana, the novel follows blacksmith Noah Brandt, former Union Army sharpshooter, and Abigail Tolbert, a determined young woman who wants to find her own way in life. The two have a complicated history together, and they must navigate all the complexities if they'll ever find true love. Author Shirleen Davies writes a story that balances each character's past and present situations, setting up a need for the characters to reconcile the two before they move forward. I am very impressed with how Davies is able to transport the reader to the historical western frontier and see how place plays a role in the characters' lives. I'd recommend this book to anyone who likes historical romance novels!